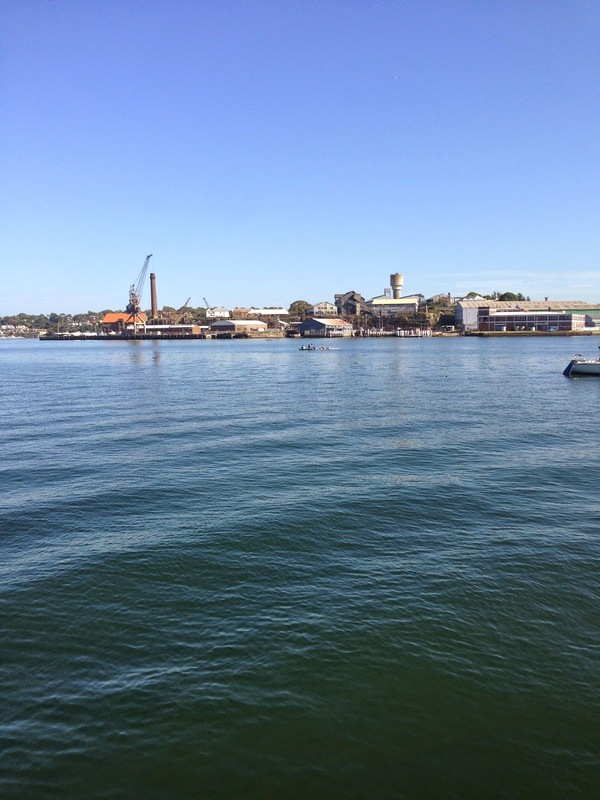 On Sunday I completed the Dawny Swim - from Dawn Fraser Baths in Balmain, around Cockatoo Island and back (2.4km) for the second time. The swim takes place not 300m as the crow flies from Greenwich Baths where I had swimming lessons, spent most of my summer holidays as a kid and first learned to swim laps (with a boogie board attached to my ankle in case I got tired and needed a rest). It also takes place not 1km as the crow flies from Farm Cove where I had my first open water panic attack during the swim leg of a sprint triathlon. 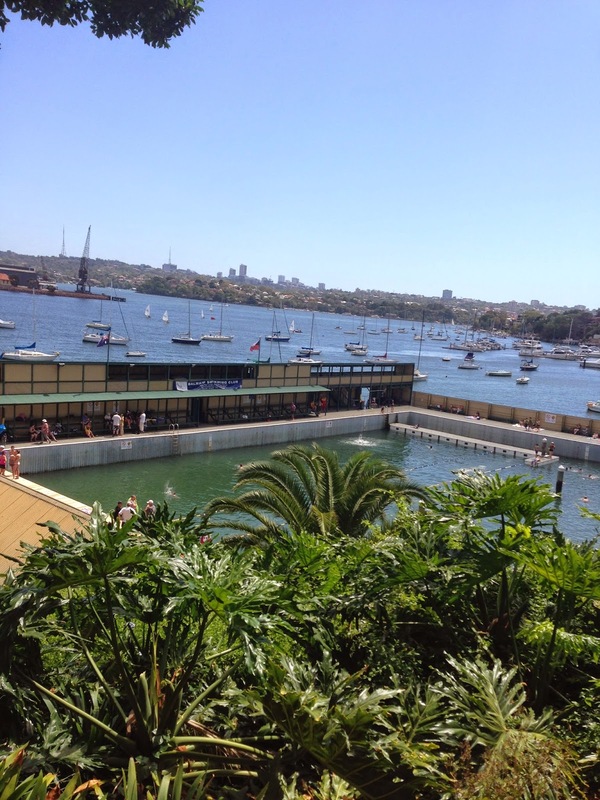 Having grown up swimming and swimming in the harbour, I still have no idea where that fear came from. I remember the first time I was unable to put my face in the water, but attributed it to being too cold (about 16 degrees, Balmoral, Sydney). I remember not being able to put my face in the water without freaking out but attributed it to being too opaque (Nice, France). I will never understand that fear or what caused it. I only know that I had to tackle it head on, and in doing so, found my greatest sporting passion which I hope to keep doing til the day I die. Sunday I jumped in and swam to the front of the start line, ready to give it a red hot go from the get go. To be able to do this so early in the season was pretty amazing. Previously, the fear edge back over winter only to be beaten into submission over the course of the season. I'm a slower swimmer so I was elbowed, kicked, swum over and I didn't care. I didn't freak out. I just kept swimming. It later turned out I'd been kicked in the goggles so hard I'd been given a black eye. Hot. I got almost instantly into a nice rhythm and cruised along, swimming my own race but loudly cheering anyone I recognised as we swam past each other. It's my favourite part of any swim. Swam under the ferry wharf to avoid waiting for ferries. This is not your usual swim. Was swimming past the huge deep water dry dock used to paint war ships when I realised what was bugging me. I wasn't used to swimming without fear. It had been my constant companion for so long, whether butterflies in the stomach, or full blown hysteria, I wasn't used to swimming without nerves. I wasn't used to enjoying a swim from go to whoa. I wasn't used to going with the flow and being totally fine with the rough and tumble of open watering swimming. I keenly felt its absence. And focused on my stroke instead.